Mynewsdesk recently ran a Q&A with Paul Sutton, Head of Social Comms at Bottle PR, who shared some crispy insights into Golden Wonder's recent PR activity. Read the full interview below. Can you give us a quick overview of the cool work you've been doing with Golden Wonder? The campaign is based around the colours of crisp packets, and the fact that people associate Cheese & Onion with green and Salt & Vinegar with blue. 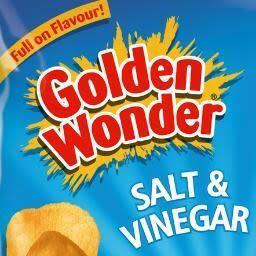 When we established Golden Wonder’s social media profiles in October, we spent a couple of months monitoring the social web and just listening to what people were saying about ‘crisps’. And it soon became apparent that there was a fair bit of conversation on Twitter, in forums and on Facebook by people fed up and, in some cases outraged, by Walkers’ use of green packs for Salt & Vinegar and blue for Cheese & Onion. Our monitoring highlighted that people feel confused and annoyed at picking up the wrong flavour. Even people like Masterchef supremo Gregg Wallace had voiced their irritation. Against this backdrop, we knew that Walkers owns 86% of the flat crisps market and so Golden Wonder is very much a challenger brand. In our favour was that, despite this, Golden Wonder is very well known and has lots of brand affection. People remember Golden Wonder from their childhood, and this itself plays into the whole green/blue argument, as people grew up with Golden Wonder Cheese & Onion in green bags. So we devised a real challenger brand campaign to tackle the issue head-on and poke a big stick at Walkers. We came up with an online petition where people can sign up to campaign to get the colour of crisp packs standardised in the recognised colours. As an ultimate goal, if we were to get 100,000 signatures we would have the right to submit the petition for debate in the House of Commons. It’s backed up by heavy social media activity on Facebook and Twitter, a media relations campaign, and some on-the-ground stunts in the form of ‘Crisp Amnesties’ in various cities, where people can swap one packet of Salt & Vinegar or Cheese & Onion in the wrong colours for two packets of Golden Wonder in the right colours. The latter not only spreads brand awareness in key regions, it also encourages user-generated social media buzz and, importantly, gets product into people’s hands. During our first two amnesties we gave out around 3000 bags of crisps! Underpinning this activity is an ongoing social media programme of quirky and inventive content creation. We have licence to create ‘special edition’ pack designs and strange new flavour suggestions to generate discussion and, wherever possible, we use agile marketing to hijack topical news. This has worked extremely well with the retirements of both Pope Benedict in February, where we published an ‘Ex Benedict’ flavour pack design, and Sir Alex Ferguson this week, where we published a ‘Golden Handshake’ special edition with a free bus pass in every pack. Both were devised, designed and published inside of 45 minutes of the relevant public announcements. So the campaign was social media-generated and is digital media-focused, but encompasses elements of media relations and experiential activity. It’s fully integrated. Ok, next question: What have you done to amplify the stunts in this campaign? The campaign is completely integrated, so we’re using both social and traditional media to magnify the impact of the experiential element. The location and date of each Amnesty is pre-promoted through Golden Wonder’s social profiles and pushed to regional media titles and bloggers. On-the-day, we live tweet pictures and updates from the event and, through social media monitoring, respond in real-time to people posting about their experience on Twitter or Instagram, for example. And then post-event, we publish more pictures and video to keep the buzz going until the next event. How many people are involved in delivering this campaign, and what skills are needed? We have a core team of four delivering the campaign; one covering off social media and three devoted to the media relations and experiential activity. The skills vary between team members in line with the different activities, but we all complement one another. Some people are great at the organisational and logistical side, some are good on the phone with the media, some provide creativity and others understand social media tone of voice and implementation. As the campaign is wide-ranging, the skill base needs to be too, and that’s where a team approach that plays to people’s strengths pays dividends. How are you measuring the campaign? How aren’t we measuring the campaign?! Given Golden Wonder’s market position, the objectives are to reconnect with those who once loved the brand, and to generate noise and conversation about it through buzz generation. So we’re analysing things like total online mentions and sentiment of Golden Wonder using Brandwatch, we’re measuring Facebook analytics and Twitter buzz, we’re monitoring press mentions, and we’re doing more obvious things like tracking the number of people signing the petition and how many bags of crisps we’re giving out at the Crisp Amnesties. Obviously the ultimate goal is to see an uplift in demand and sales for Golden Wonder and increased distribution, but they are a longer-term goals that go beyond this one campaign. 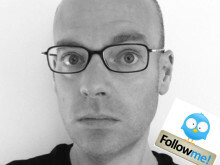 What does it take to get to 5,000 twitter followers? Tom Albrighton, founder of ABC Copywriting and co-founder of the Professional Copywriters' Network, explains how he managed to build his network, what he thinks makes good tweets for brands as well as individuals and talks of balancing business and pleasure. 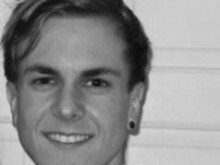 Matt Golding of Team Rubber on how Bodyform responded to a Facebook comment by unleashing a viral video sensation in just 8 days.